From Saurabh’s trunk of expertise…. 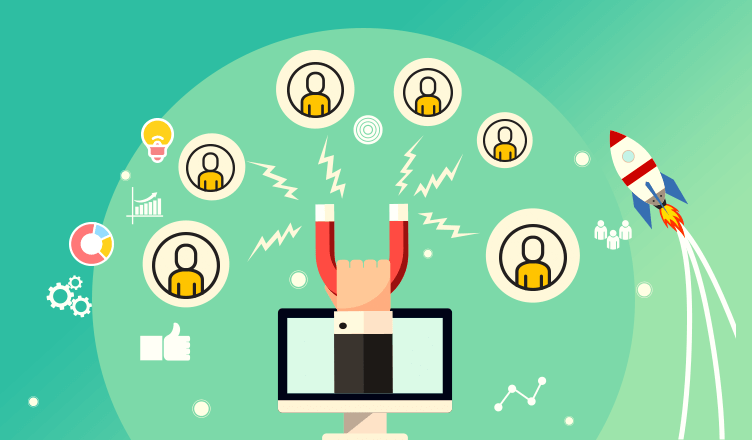 There’s a lot of noise about customer retention strategies these days! It is considered an important marketing pillar. For a very good reason – Bain & Co study shows that a 5% increase in customer retention can increase a company’s profitability by 75%. While it is easier to accomplish in frequently used businesses such as groceries, e-commerce, and so on, but when you talk about businesses such as home buying and rentals, the customer does not return as fast. In fact, the customer having once used the service will return approximately in a year’s time. In businesses like these, the customer retention strategies have to be even more impactful. It is like you get one chance per year to impress your customer! Firstly, strategy for any business is to build a great product that solves a real customer problem. The customer is always the king and must be served with best possible amenities. How can one do that? One can only do that by understanding the customer and not merely by building a ‘new’ product. The product should be ‘good’ and may or may not be ‘new’. The product should address the customer’s pain point. This one quality distinguishes successful businesses from aspirants. Secondly, any customer is bound to remember a good service. If he is happy, he will gladly spread the word of mouth. Businesses who see happy customers as hyperlocal brand ambassadors usually survive the perils of time, fund crunch, trend change, etc. Once you understand the customer and his behavior well, you can tune your retention strategies around that. You have to remember that in today’s world the customer is bombarded with advertising and forgets a brand as early as 3 days. Therefore, it is important that you keep the customer engaged along the whole lifecycle till he comes back. There is no point in doing an untargeted advertising here as it will be much less impactful. 0-12 months: Here we push engaging and useful content for the customer. Something he can use once he has found a house. Like locality highlights, décor and interiors tips, vastu etc. This content is pushed regularly to the customer and since these are things he finds useful we get a pretty high engagement here. 12-14 months: This is the pre-transaction stage and we prepare the customers for the transaction. So, we will send them things like Guide to moving out, Guide to renting a house, testimonials etc. The person is about to enter into the zone and finds this content very informative. 14 – 30 months: This is the transaction zone and we target the customer with high frequency content like “50000+ non-broker houses waiting for you”, “Saved 600cr in brokerage in last 1 year”. The customer who is looking for a house gets this at the right time and decides to try the service because of this. Our repeat users have jumped 7 fold in last 1 year and is growing even faster. This is like a snowball effect which keeps on adding continuously. It is very important to have an integrated communication approach in lifecycle management. A customer needs to be exposed to communication at least 3+ times before he decides to take any action. For instance, in our business, once we know that a customer has rented/bought a place, we do not sit and relax. We foresee what the customer might need next- rental/home agreement, packers and movers, etc. Anticipating customer needs and communicating the services at the right time, goes a long way in gaining customer loyalty. Customers today want convenience and value. If they see a brand that is with them at each step of their house rental or shifting journey, they are bound to come back and recommend you for a hassle-free experience! Frequently, encourage your customers to share their experience on their social media handle. Reward them for those shares. The end goal is to form a community of hyperlocal and hyper-loyal brand ambassadors. Retaining your customers could be the most profitable activity a company can do. But important is to remain a start-up and keep experimenting. The idea is to not fall prey to regular customer retention strategies. Understand your customer and what he would want. There is no “one size fits all” strategy that will ever come to rescue. MSME Loan Alert: Get Rs.1 Cr In Just 59 Minutes! Amazing post! Using NoBroker really helped to understand the customer retention work and execute. I enjoyed this article specially this one Customer is like a girlfriend or boyfriend.. Ha ha great saying.